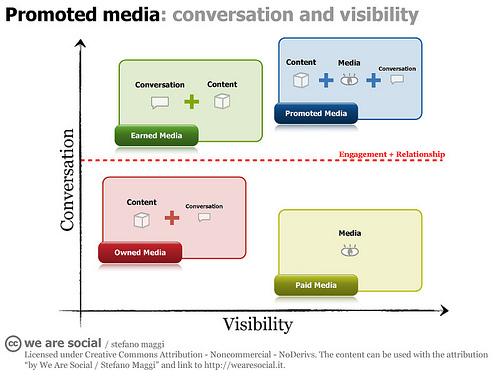 Owned, earned and bought media provide the platforms for customer engagement. In the not-too-distant past, magazine advertising dominated aviation marketing. The proposition from publishers was simple – we will provide the content and the readership base, and aviation manufacturers will rent space in our magazines to advertise products and services. This was a successful business model which lasted over 6 decades. Then digital technology came along, disrupting the publishing model and fragmenting the media landscape forever. “The irony is that while there have never been more ways to reach consumers, it’s never been harder to connect with consumers,” Brad Jakeman, President of Global Beverage Group & Chief Creative Officer at Pepsi Company. Inbound media is a relatively new term derived from using social media to engage customers and prospects through conversation. The start of the conversation usually originates on the customer side in the form of an inquiry or comment posted to a web page, blog, or social media platform. Digitally literate aviation marketers monitor their social media sites for posts and respond accordingly to satisfy the inquiry. Outbound media can be categorized as any communication sent from the aviation manufacturer that was not directly requested. Outbound media can take the form of magazine advertising, email blast, direct mail, promotions, television commercials, podcast, and You Tube videos. Astute aviation marketers view the fragmented media landscape through the eyes of a publisher, selecting the media channels that best connect with their customer base and deliver the greatest marketing return.